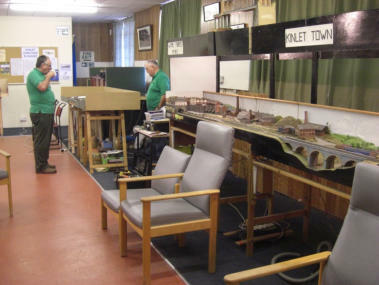 Part of the main club room with two members discussing one of the 'N' gauge layouts over a cup of tea, which is always available on club nights. 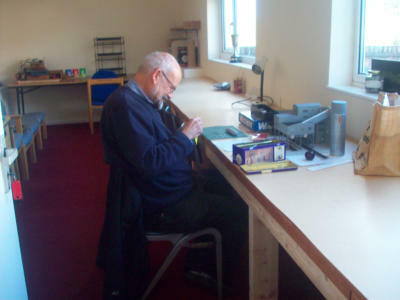 The quiet room where a new worktop has been built for members to carry out the smaller modelling tasks away from the main layouts or to just read one of the modelling magazines that the club has collected over many years. The photo shows a member making Canadian Geese.